First in a series of articles on the Architecture of Muslim Spain and North Africa (756-1500AD). A brief historical background on the Muslim architectural achievement concentrating on important historical and architectural monuments. This had engendered major advances in architecture and art. 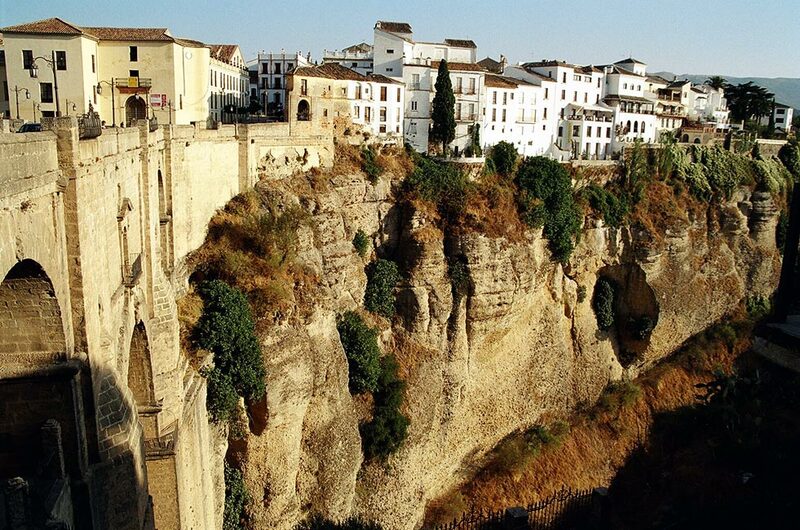 In building, this region, especially Andalusia, produced some of the world most fascinating architectural monuments comprising a number of palaces, mosques and gardens. The series of short aritcles linked below (taken from the full article, see resources below) give a brief historical background on the process of Islamisation of the region, explores the architectural achievement concentrating on important historical and architectural monuments and provides a summary of the main innovative elements and their impact on Muslim as well as European Medieval architecture. North African square towers and minarets had a significant contribution in the development of European church towers. The use of square shape in the form of added sections with decreased size, the dual system of blind base and decorated top sections, and the erection of the tower near the entrance gate were inspirations from Muslim North Africa. Andalusian and North African Muslims mastered the use and construction of arches. Their ultimate understanding of the properties of the arch appear in the technical innovation of achieving standard height by stretching, or super-imposing arcades of semi-circular or multifoil arches as seen in Cordoba Mosque and Quairawan of Tunisa. The extensive use of horseshoe and multifoil arches in the Mosque of Cordoba and Al-Zahra was the source of inspiration for their European adoption. There are suggestions which also relate the source of European adoption of the pointed arch to North Africa. Historic evidence revealed that Constantine the African, who played a leading role in the transfer of Muslim Medicine into Europe and the establishment of Salerno School of Medicine, was staying at Monte Cassimo monastery at the time it was under reconstruction in 1080, when the pointed arch was employed for the first time in Europe. A Christian from Tunisia, where the pointed arch was used since the 9th century, Constantine and his Muslim servant must have showed the Amalfitan builders the advantages and how to build the pointed arch. The use of polychromy in Cordoba and Al-Zahra was also another inspiration for Europe's adoption of polychromy decore. The technical innovation in the construction of dome vaults through the introduction of ribs organised in various shapes including the eight pointed star which appeared in Cordoba Mosque and Bab Mardum was imitated first in European domes and later inspired the Gothic vaults.